Celebrate Halloween with your boyfriend with fun activities and a unique Halloween gift! You don’t need an excuse to give him a present, but Halloween provides a cute excuse. 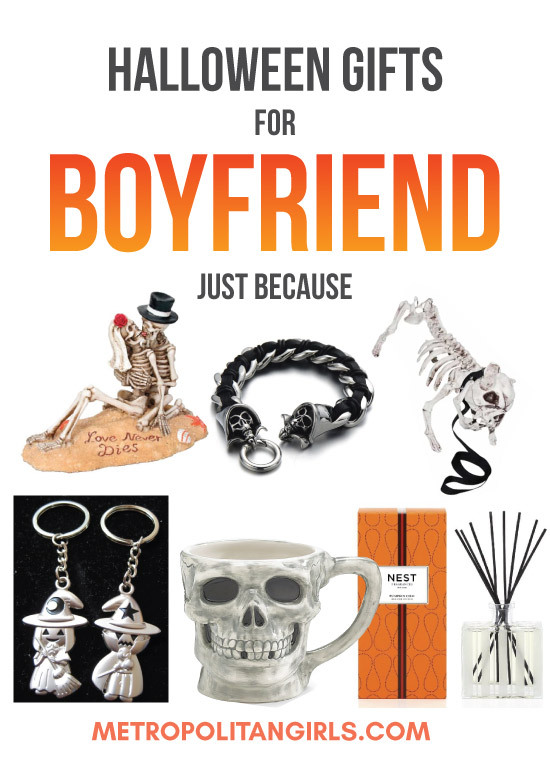 Read this guide for some cute Halloween gifts for boyfriend. Discover now! The spooky day (a reference to one of my favorite games — The Sims) is soon upon us. As those of us who are in love will understand, you can use any occasion as an excuse to give your partner a romantic present. Well, in this case, the romance is delivered through skulls, Jack-O-Lantern, ghosts, and other scary stuff (scary only if you’re a kid!). Below are some cute Halloween present ideas for your inspiration. And by the way, if you’re looking for matching couple costumes to wear to a costume party, be sure to check out this article for some fun ideas. Let’s start the list with this bracelet that looks cool and stylish. 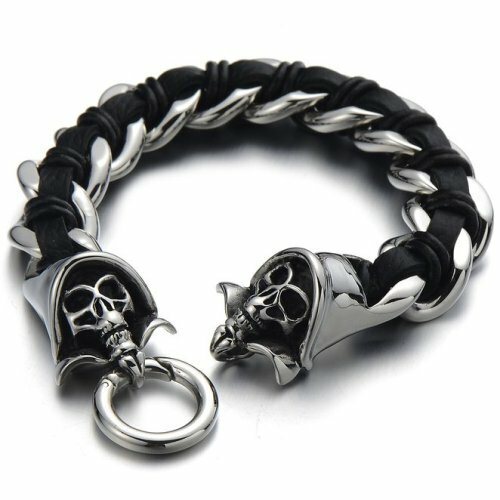 Amazing skull, black leather with chain design. Good quality, nice and heavy. One of the best Halloween gifts for boyfriend. For boyfriend who loves dogs. This awesome little bone dog gonna make him thrilled. Realistic-looking bones in spooky white color. It comes with a collar and leash. 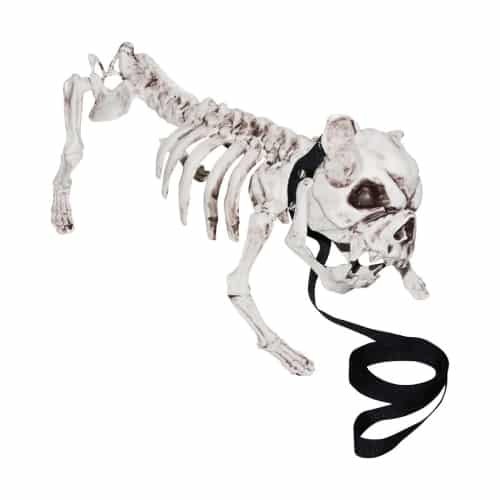 Cute dead dog to howl at Halloween night! Fill his room with cozy fall ambiance. 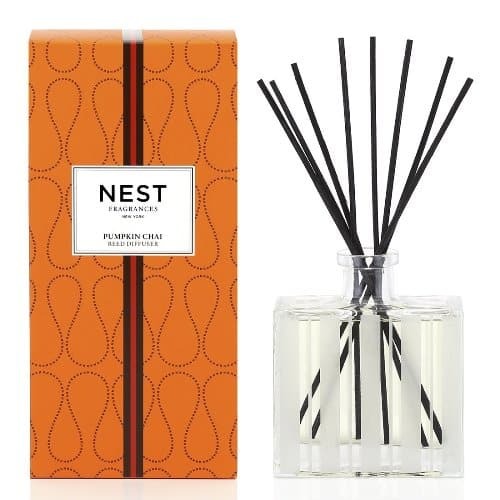 Try this Pumpkin Chai diffuser by NEST Fragrances. Wonderful blend of wild pumpkin, spicy masala chai, cardamom, ginger, and cinnamon. It smells like delish pumpkin pie with clean, fall-like feel. Cute t-shirt for him. 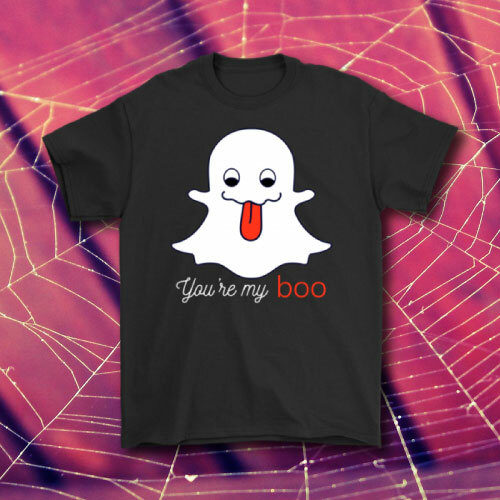 You’re my boo is a humorous t-shirt that features an adorable spirit who has a big red tongue. 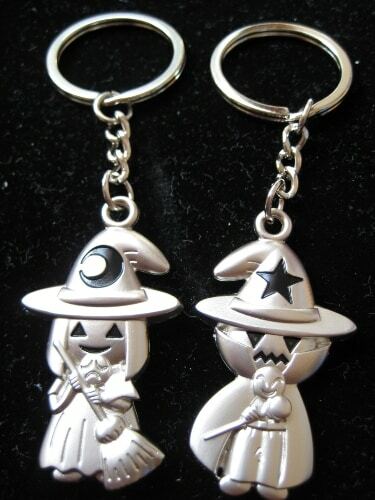 Matching boy and girl witches keychain. Cute and stylish. It makes the perfect small Halloween gift for boyfriend. Something romantic for your boyfriend on Halloween. 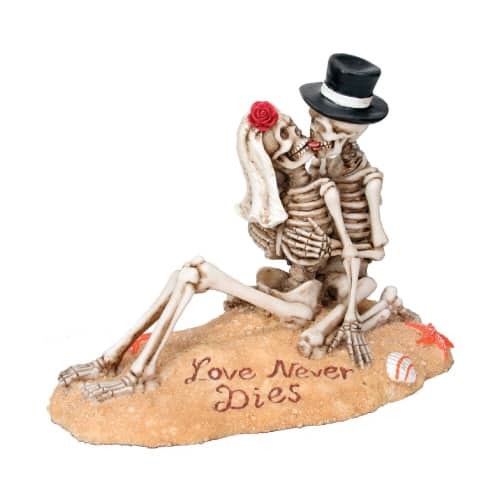 Beautiful figurine featuring two loving skeletons kissing on the beach. Their love never dies. Sweet and meaningful. This statue is well crafted with fine details. It makes a nice room decoration. Another great Halloween gift that your boyfriend gonna love. 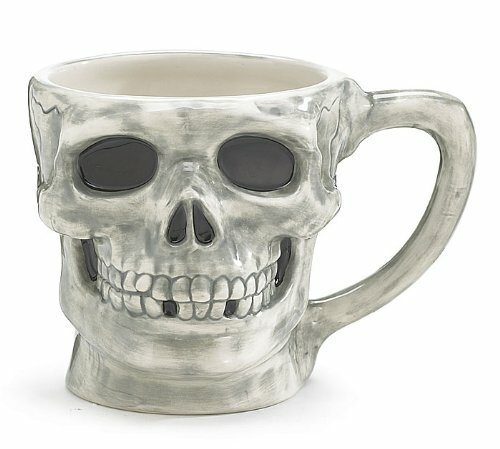 A ceramic mug with cool skull design. Hand painted with dirty colors. Sturdy, has large 15 oz capacity. Perfect for morning coffee/ tea. Personalized Jack-O-Lantern plush toy. This unassuming bear decides to make his own costume from a golden pumpkin. Make it your own by putting your BF’s name on it. And that’s all we have to say about Halloween Gifts for Boyfriend. Have lots of fun on Halloween, just remember: when it comes to dealing with the little tricksters, treat is always better than trick! This article is part of our Halloween specials.